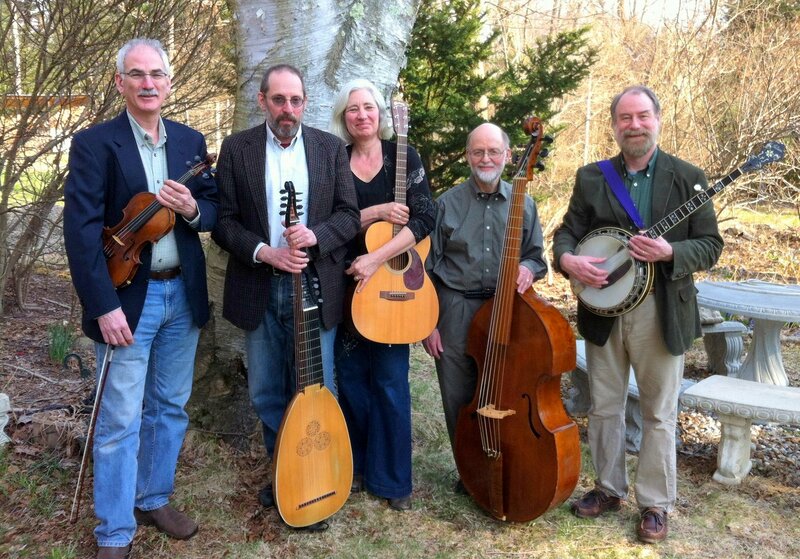 The Foggy Mountain Consort’s members hail from two worlds: the rarefied early music realm of Renaissance dances, exquisite songs, and lutes of outlandish size, and bluegrass stomping grounds where carefree banjo tunes mingle with heartbreaking ballads. Peter Lehman on theorbo and Doug Freundlich on violone, complement Lauck Benson on both fretted and fretless banjo and Art Schatz on fiddle, with Anne Goodwin graciously providing vocals and rhythm guitar. 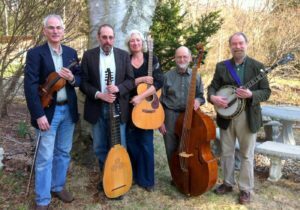 The Consort will present a program of bluegrass and old time tunes, Renaissance compositions, and songs ranging from the 17th century Blame Not My Lute to American folk ballads. Join us on Sunday, January 13 at 3 pm in the Reading Room to hear their unique and beautiful music. Free and open to the public.